Metal prints are one of my favorite ways to display my photos! While traditional paper prints will always be my go-to for maximum consistency and archival quality, metal prints provide me with a modern and striking way to display my work at large sizes. My best and largest metal prints are currently on exhibit at WeCube Inc. and I invite everyone to come check them out, and attend my artist night on Wednesday, Jan. 25, 2017 at 7:30 pm. and how I prepare my images to get the best results for my metal prints. For those who want to try metal prints but may be scared of the relatively higher cost, great news: Photobook Worldwide has given me a discount code for 60% off on metal prints valid until March 31, 2017! Just create your metal prints at www.photobookworldwide.com, find your local website (I use www.photobookphilippines.com) and input AARONPALABYAB under voucher code. And don't forget to share your metal prints with me via e-mail or one of my social media channels! Back with another tutorial/demo video! In this video I take you through the relatively simple process I used to edit this photo entitled "Under Guiding Lights." For more tutorials, click here! Quickly put this post together before leaving for San Diego for Adobe Max! In this video I share unedited sample 4K video and time-lapse footage from the Asus Zenfone 3 Deluxe, which I had the chance to try in Batanes last week courtesy of Asus Philippines. I also share my general thoughts and impressions on the quality of the footage and overall usability of the camera on the phone. For more on the Zenfone 3's camera, check out my post on shooting the Milky Way with the Zenfone 3 Deluxe! 2600 kilometers. 9 days. 2 random people. 1 little car. I'm excited to finally be able to share this adventure with you guys: an unforgettable road trip across nearly the entire north-northwestern coast of Spain. This video, "La Ruta de La Costa" ("The Route of the Coast") contains the highlights of a trip full of breathtaking sights and spontaneous detours. My spontaneous trip to the Sierra Madre in Quezon last weekend in search of a good shot of the Milky Way shot with my friend, director/cinematographer Dustin Uy, was a success! I'll detail more about the trip and how we shot the images in a future post, but for now, I'd like to share this edit of footage I shot on the trip with everyone, featuring my first attempts at astro time-lapse photography. Me as I line up another Milky Way shot. Photograph by Dustin Uy. 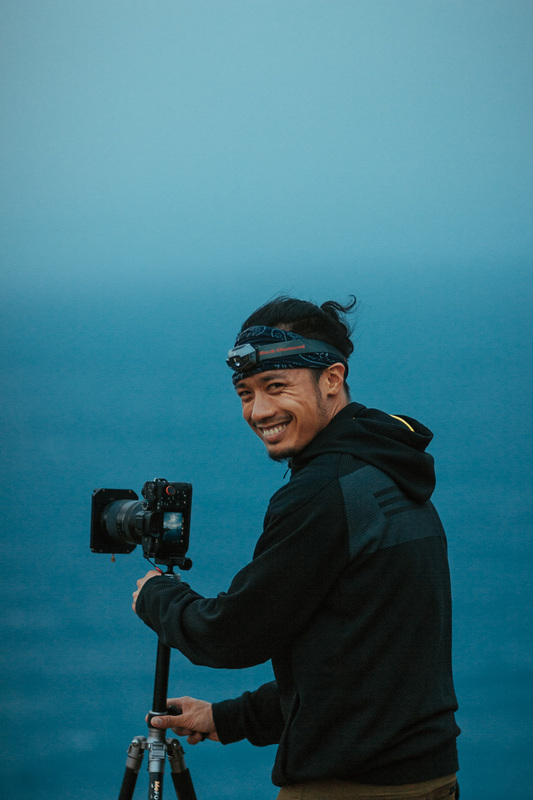 Seeing all the jaw-dropping imagery shared everyday on the Internet, it's become my ambition over the next few years to create an expansive film composed of stunning imagery from all over the Philippines, in places both known and unknown. The video above is sort of a teaser edit of what that film might look and feel like. Best in full 2K with good headphones or speakers! Thanks for watching! Simple "unboxing" video I made to show everyone my first look at the Carrier Pro ZIG, a unique and well-designed bag/organizer for your GoPros and all their accessories. I really appreciate all the thought that went into the design of this product because traveling with cameras and all their accessories, even one as small as a GoPro, can be a pain and small stuff gets misplaced easily. Created by Gian Rosales, it is a proudly Philippine-made, crowdfunded product. I'm only too happy to support a world-class product from a homegrown entrepreneur. Order your own Zig here! Well, for those wondering about what the heck I did during my "mini-retirement," here it is: My heartfelt ode to travel and my fellow travelers. Two months of travel, four countries in Latin America, and a lifetime's worth of unforgettable moments, in four minutes. Dedicated to all travelers, especially the crazy ones who travel solo. I hope it's able to remind you of the magic of your own journeys, or inspires you to make your own.